I woke up feeling a little sorry for myself this morning, sorry for my family, too. It hasn’t been the Christmas season we expected or wanted, and I’m left wondering: how do you give your kids a good Christmas when nothing seems right in your world? We’ve spent the entire month of December ill now. Influenza spread slowly from one family member to another. Several children ended up with infections. My asthmatic lungs were hit hard and our physician threatened me with hospital time. Thankfully, it was just bronchitis and not pneumonia. Then, this weekend during our church Christmas program practice, our middle boy began complaining of stomach pain. By the time we had removed costumes and were ready to leave, he was on the floor curled up in a ball, crying. It frightened me because he is our tough cookie, the kid who rarely complains of pain. So, when he started to scream that his stomach hurt, I left immediately for the closest ER! We spent a day and a half at the hospital under observation, with many people praying – the world over. The surgeon mentioned appendicitis, but his symptoms didn’t fit exactly. Finally, his white blood cell count dropped, his pain subsided and we were able to go home. We were overjoyed! 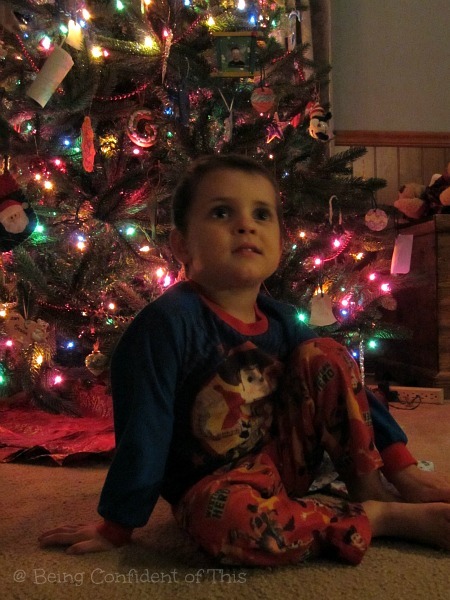 He talked about playing with his little brother and sister and how happy he was to come home in time for Christmas. I grinned in the front seat, glad to have my funny, enthusiastic boy back. We were almost home. All seemed right in the world again. And then, suddenly it wasn’t. Our oldest son woke in the middle of the night with an asthma attack. Then, I got sick and so did he. On top of that, the only little one who didn’t already have an ear infection complained that his ear hurt. I’ll admit, friends, my heart travelled straight from rejoicing to complaining because it’s almost Christmas and it just doesn’t seem fair, really. Our children were only back at school for a week, and already ill again! 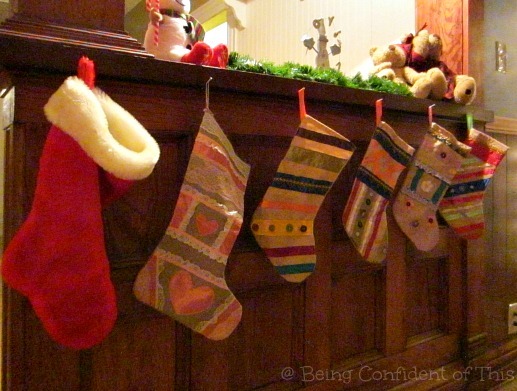 How can you give your kids a good Christmas when everything goes wrong? I know I’m not the only one struggling for joy right now. In fact, I’m certain that many of you are experiencing trials much deeper and more painful than ours. If I really knew the depth of them, I’d probably be ashamed of my own complaining. And maybe you’re a mom like me who doesn’t really mind so much for herself, but for the kids! Maybe you lie awake at night worrying about life circumstances. Maybe you’re experiencing the pain of loss or separation from loved ones. Maybe your finances are in such a state that you don’t even know where your next meal is coming from. Maybe you catch hold of joy for a few moments only to quickly lose it again. Whatever your lot might be this Christmas, know this: you can still give your kids a good Christmas. 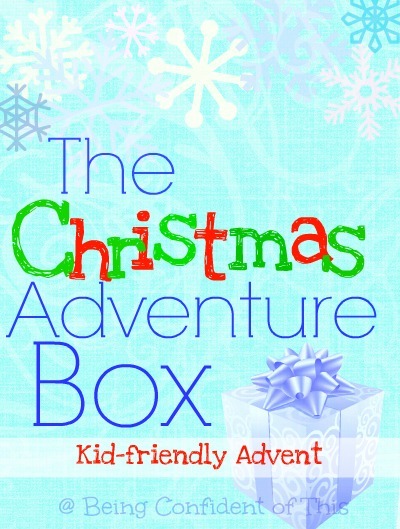 You can give your kids a good Christmas without health, without money, without extravagance. You can give your kids a good Christmas in spite of pain, loss, broken relationships, and whatever other trials you might be experiencing. You can because He came. 9 And an angel of the Lord suddenly stood before them, and the glory of the Lord shone around them; and they were terribly frightened. 10 But the angel said to them, “Do not be afraid; for behold, I bring you good news of great joy which will be for all the people;11 for today in the city of David there has been born for you a Savior, who is Christ the Lord. He came! 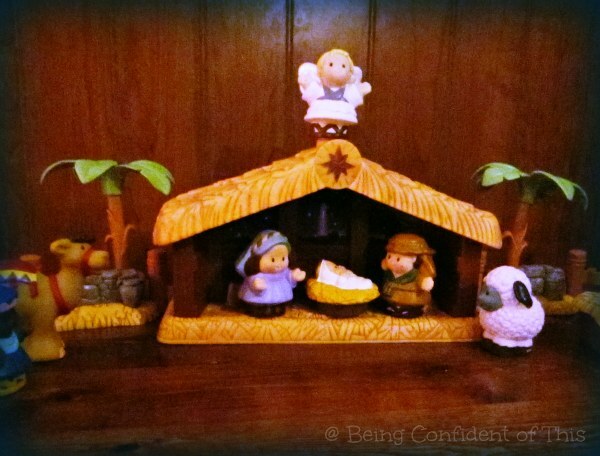 Emmanuel, God WITH us – that’s what Christmas is really about. Christ, the Hope of the world, in human flesh, for love of our wandering hearts. We have to let go of this expectation of holiday perfection and embrace the reality that human life is flawed, messy, painful, even at Christmas. Christ came right into the midst of that mess, born in a stable – there’s nothing clean about that. 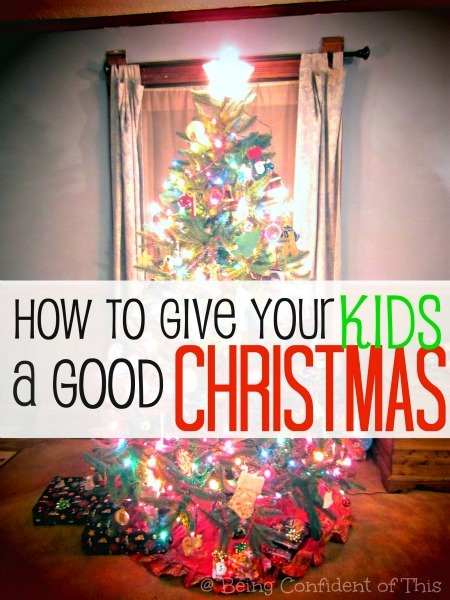 You want to give your kids a good Christmas? Let go of the worry. Show them Hope, Love and Peace. Teach them of the Savior who willingly left Heaven’s splendor to suffer alongside us here on Earth. That’s a Love like no other, my sisters in Christ. He chose us. He chose pain. He chose death, so that we might experience life in abundance. He did it for you, for me, for them. 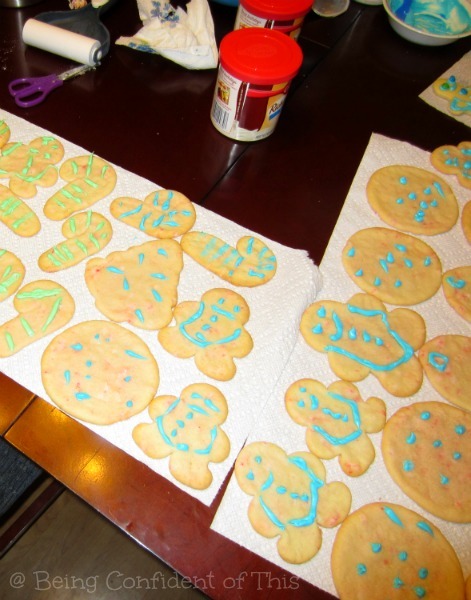 The wonder of Christmas has little to do with presents and food and fun. The wonder of Christmas is the keeping of a thousands-of-years-old promise, hundreds of promises, really. 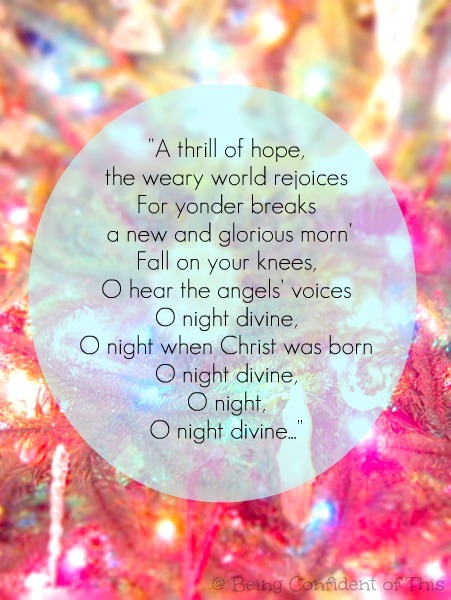 The wonder of Christmas is Christ. 18 For I consider that the sufferings of this present time are not worthy to be compared with the glory that is to be revealed to us. 19 For the anxious longing of the creation waits eagerly for the revealing of the sons of God.20 For the creation was subjected to futility, not willingly, but because of Him who subjected it, in hope 21 that the creation itself also will be set free from its slavery to corruption into the freedom of the glory of the children of God.22 For we know that the whole creation groans and suffers the pains of childbirth together until now. 23 And not only this, but also we ourselves, having the first fruits of the Spirit, even we ourselves groan within ourselves,waiting eagerly for our adoption as sons, the redemption of our body. 24 For in hope we have been saved, but hope that is seen is not hope; for who hopes for what he already sees? 25 But if we hope for what we do not see, with perseverance we wait eagerly for it. Do you feel it, friends? The joy of Christmas is spreading right through us. It cannot be contained. The whole of creation leaps with joy – He is born! Promise fulfilled, salvation at hand, redemption nigh. Hope in human flesh. 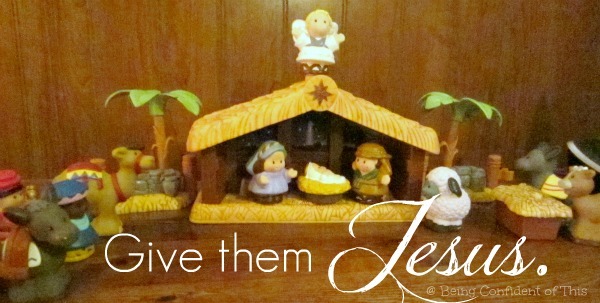 Here’s how to give your kids a good Christmas: tell them the story of Jesus. It’s the only thing that truly matters. I’ve seen it in the gentle coloring of the trees outside of our home, that yearly reminder that Fall is here. 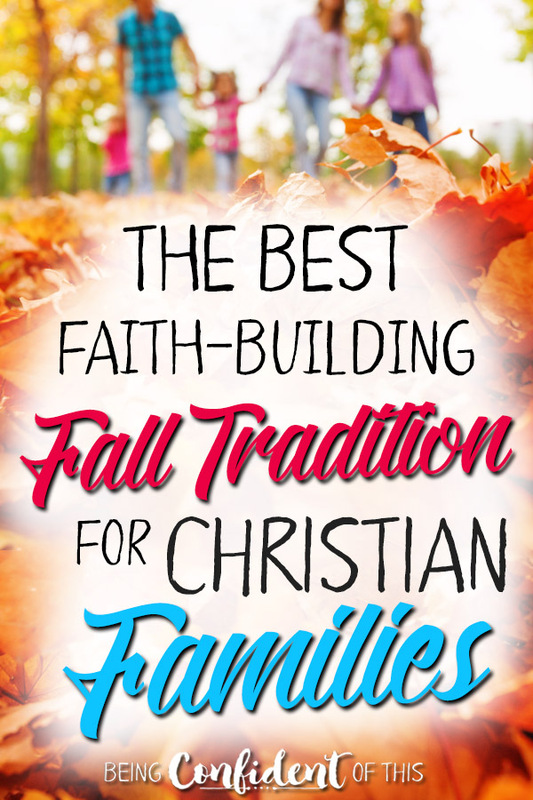 Right along with Fall comes the harvest season: cornstalks and hay bales and apples and pumpkins… and the “holiday” of Halloween, possibly one of the most controversial holidays for those who are in Christ. I’m not sure about you, but the Halloween issue is something I’ve always struggled with as a Christ-follower (it’s right up there with what to do with Santa, the Easter Bunny, etc.). What to do with Halloween is one of those be-in-the-world-but-not-of-the-world gray areas that seems to so often divide Christians. Yes, I’ve researched both the pagan roots for the holiday and it’s Catholic counterpart, All Saint’s Day. And I’ve read a few articles lately about what Christians should or should not do in regards to this day. I’m just not sure I agree anymore. So, when our firstborn came along, we weren’t sure which path to choose. 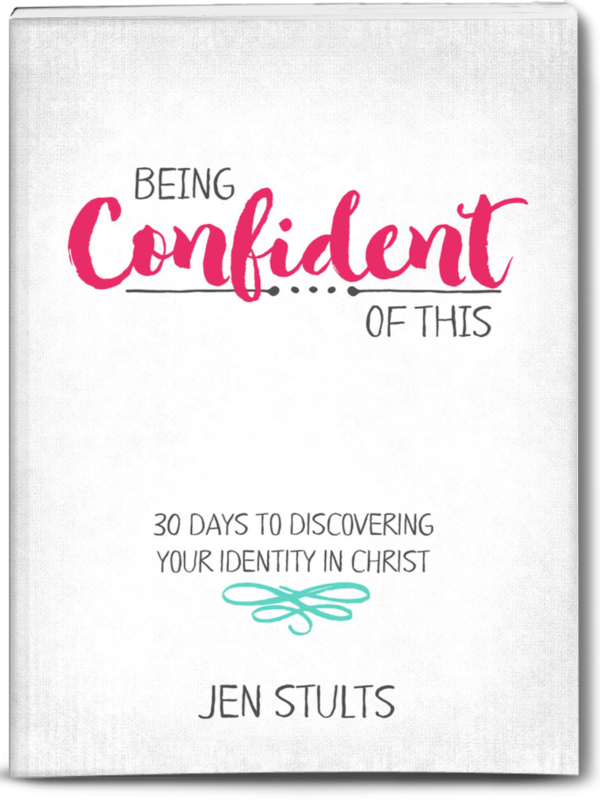 We had the desire to please the Lord in our parenting choices, but we honestly weren’t really sure where to draw the line between freedom in Christ and being “set apart” in this area. At first, we decided to participate only in our church’s fall festival, a Halloween alternative which was held on the same evening as Halloween, without costumes, but with games and candy. It was so much fun for the whole family! However, my philosophical brain rejected the idea that it would be somehow “acceptable” to participate in a candy-oriented event on the same night as Halloween as long as we called it by another name and held it at a church yet “unacceptable” to dress in a costume and go trick-or-treating. Weren’t we still celebrating the holiday, just in a different way? And what about our other “Christian” holidays, like Christmas and Easter. Weren’t those dates and even many of our traditions borrowed from pagan holidays as well? (I know I was shocked when I researched the origins of Christmas in particular.) Yet, over the centuries, we’ve managed to bring Christ into the center of those holidays. “For in Christ Jesus neither circumcision nor uncircumcision has any value. 13 You, my brothers and sisters, were called to be free. But do not use your freedom to indulge the flesh; rather, serve one another humbly in love. 15 If you bite and devour each other, watch out or you will be destroyed by each other. It seems to me that in gray areas that the Bible doesn’t specifically address, there is grace. Because of Christ, we have freedom from human regulation. The most important thing is not what we “do” in that regards, but in how we love, through faith – each other, as well as the lost. Since the Bible does not take a crystal clear stance on the celebrating of specific holidays such as Halloween, Christmas, Easter, and so forth we finally decided to err on the side of grace in this gray area. So, for a few years, we allowed our children to trick-or-treat at select locations, usually church events around town (for safety reasons). We took the opportunity to discuss why Halloween can be an evil day, depending on how it is celebrated. We talked a lot about good vs. evil and how the spiritual realm is real and present, but that we need not fear it because “God is bigger than the boogeyman” (to steal a line from the Veggietales tune). Then, a few years ago, my husband decided to return to full-time ministry as the pastor of a small, country church. And one of the things we decided to do as an outreach event in our new-to-us, small-town community was to host a trunk-r-treat event. If you haven’t heard of trunk-r-treats, people line up their opened car trunks, decorated in various themes, in a parking lot or downtown, and hand out candy from their trunks instead of from their homes. For our small church, it was a big deal! The big night arrived, cold and wet. We drove to the downtown parking lot we had chosen for the event, spirits high in spite of the bad weather. The sprinkling slowed a bit to a slight mist and trunks began to open as we set up our decorations. We had Star Wars themed trunks, farm trunks, and even one trunk that looked like a giant mouth with razor-sharp teeth! Then the costumed families began to arrive, and for an hour and a half, we had a steady stream of trick-or-treaters. We smiled at them. We gave them candy. We served hot drinks in the unseasonably cold weather. We told parents about our children’s program and youth group. We laughed at inventive costumes. We invited them to fellowship with us. We handed out gospel literature. And eventually, we actually ran out of candy! In the weeks that followed, we saw very little tangible results from our first trunk-r-treat. No new families stopped by our church to visit. Some might even call it a failed outreach event. But that event marked the beginning of a slow change in that church, a willingness to start thinking outside of the “church” box. They began to see, with fresh eyes, the lost in our community. They realized that even small churches can serve in big ways! This year will be our second attempt at the trunk-r-treat event. I hope we will reach even more of our community. 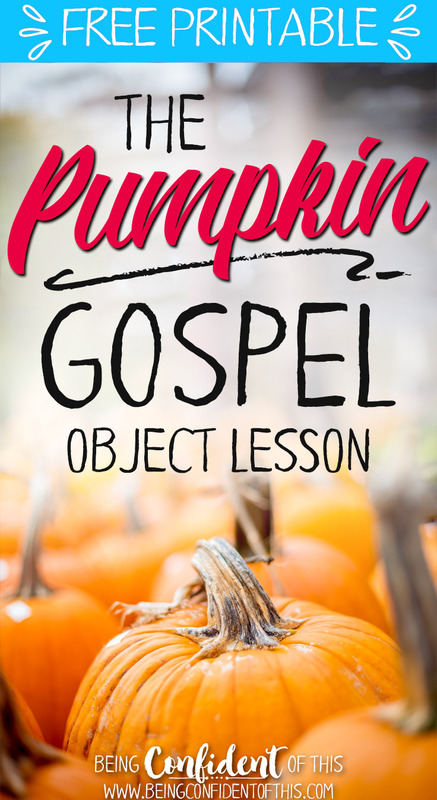 We plan to utilize the Pumpkin Gospel object lesson to demonstrate the gospel in visual form (kids love stories!). 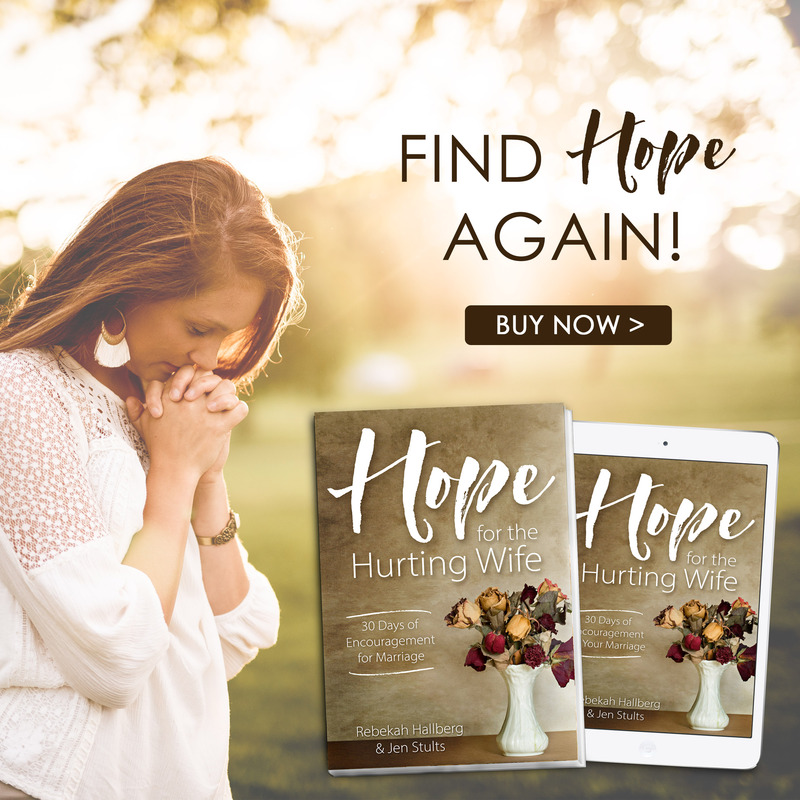 Whether or not it’s the best way to deal with a historically evil holiday, I know the Lord sees past the exterior to the desires and the motives of our hearts. I hope what our children take away from this in the future is that Halloween is a day to remember that we live in a fallen world. Evil is real, but so is God. We have a light to shine in the darkness! So, maybe, just maybe, making the right choice for Halloween is not so much about the details of how we “celebrate” but the why behind it. And any day with Jesus as the focus is a good day, in my opinion. I just have to wonder what satan thinks about a bunch of Christ-loving people hijacking his evil day in an attempt to demonstrate the gospel to an entire community? 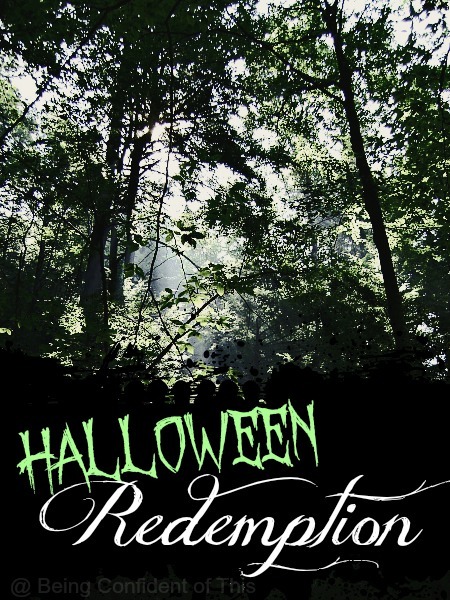 If sinners can be redeemed, and Christmas can be redeemed, and Easter can be redeemed…..
then maybe Halloween can, too? Perhaps the best way to be a light in the darkness is to quit biting and devouring one another and focus on loving each other instead.